Restaurant intelligence and review management enabled by the worlds first pay at the table hardware and software platform. Welcome to 2019, this is just the beginning. Our unique payment system leaves staff happier and increases revenue per seat. Now you can give guests more of what they love, and nothing they hate. 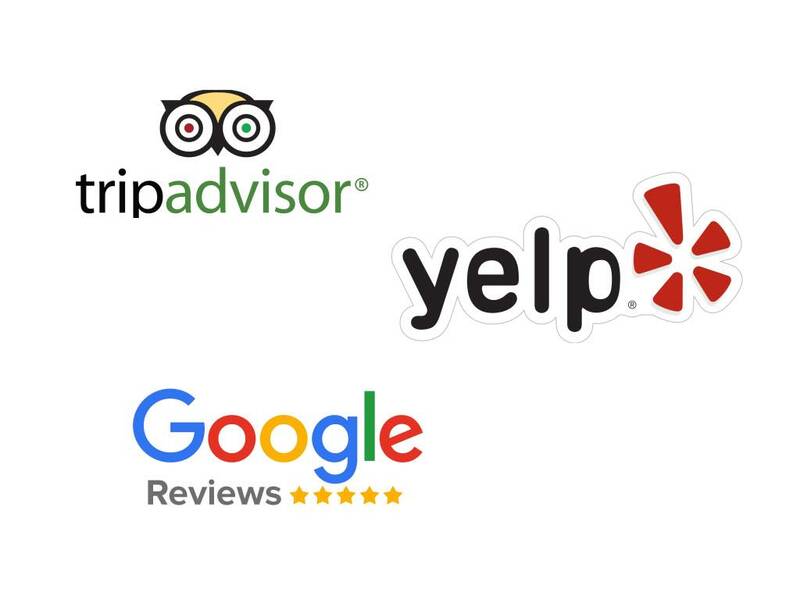 Increased online reviews enabled by frictionless review management. Now your staff don’t need to stand by the table to take the payment. Your staff deliver the bill and leave the TableYETi payment system on the table. Split or no split, with a few taps, guests can pay for the bill and email themselves a receipt. Reducing the wait time at the end of the meal is proven to make your guests leave happier. Quickfire, one tap, relevant questions asked once during self service payment. If a guest had a steak, we ask if it ‘was cooked correctly’. Seriously intelligent. The data presented so that it makes it easy for you to take action. 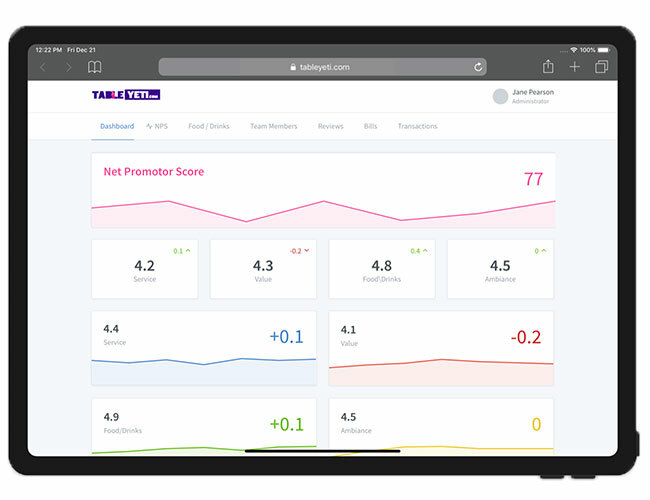 Retaurant intelligence is just one part of TableYETi, see how it all works together. Each time a customer requests an email receipt we store their email, inline with GDPR. Our restaurant intelligence system then chooses whom to ask for a review. Your happy guest leaves a review on one of the most popular review sites. TableYETi is compatible with a plethora of ePOS out fo the box. We pride ourselves on our uptime and ability to prompt any issues. If your ePOS isn’t supported, we can guarantee we’re working on adding it. 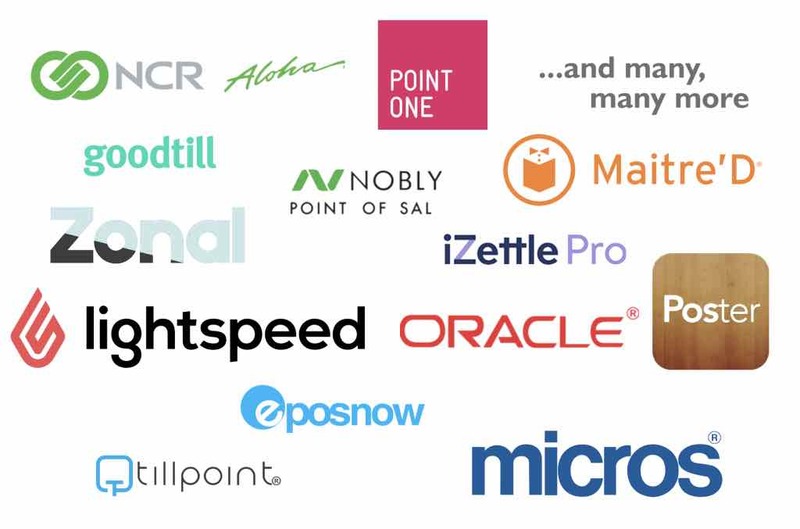 Below is a selection of currently supported, or will be supported shortly, ePOS providers. Unsupported ePOS? Let us know and we'll plan an integration. Whether it’s 4am or 4pm we’re ready to help with your problem. If the s**t hits the fan, we’ll be onsite in one hour guaranteed. Already have a merchant account? All we require is the account number. Whether you already take card or not, we can have you approved in minutes. Don’t already take card payments? We have access to the best rates. We’re about making your restaurant a success, not about earning 0.1% extra from each transaction. Your rates stay the same as before or if new, are 100% transparent. We can get you the best rates in town guaranteed, plus while you wait, we can have you set up with Stripe and processing payments in minutes. 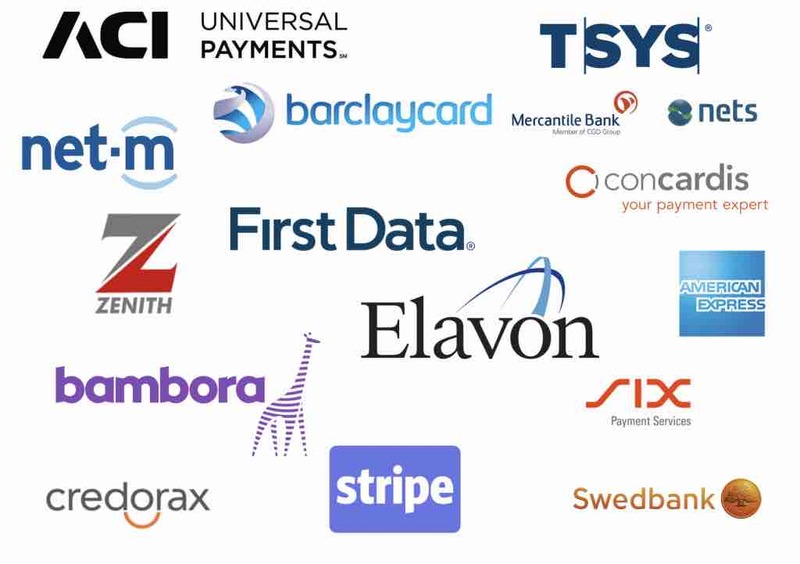 We don’t touch the money processes by the TableYETi system; we don’t even see the card number, this all handled by our gateway partner Payworks.